August is GenCon month and it’s killing me. Between all the new stuff that’s coming in because I backed it on Kickstarter and the new shiny coming out of the con itself, there’s just so many new games coming in that I thought seriously of dumping 20 games this month instead of 10, but I stuck with 10, which is still a lot of games. Choices of what to drop is starting to go to games that I’ve own for a while and either I’ve actually never played or that I really don’t think I’ll get around to play. I don’t think I have very many “games that I really don’t like” anymore in my collection, apart maybe from the occasional dud that I’ve just picked up. Rather, I’m starting to cut games that I figure have a very low chance of be brought to the table, which does feel good. Getting rid of games that I kept simply because they were sort of ok and “maybe one day” is a very good feeling. Will I ever reach 600 games? Not this year, unless I decide to do a massive purge. If I manage to bring the collection to under 700 and clear out one or two games for each new game that comes in, I’ll be happy. This entry was posted in General and tagged The purge on September 1, 2014 by TopDog. Either there’s been a lot of discussion about what is and what isn’t a micro or I hang out with people who are obsessed with board games. No matter, I find that quite a interesting discussion. Apart from those who deny that they exist at all (let’s call these people Jason), most of the definitions seem to give more of an insight into the person than the games themselves. There are those who claim that simplicity and game length defines a micro; others claim that footprint and components define a micro; other claim that they are nothing new really, that they have been around for a long time. There’s some interesting conversation to be had, that’s for sure but at the end of the day, micro or not, they are games and they live or die by whether they are interesting and can stay interesting. This entry was posted in Review and tagged review, sail to india on August 19, 2014 by TopDog. This entry was posted in Review and tagged review, Thunder Alley on August 10, 2014 by TopDog. Way back when I was in college I used to have two different games in my bag at all time, just in case we’d want to play something while we were at the pub instead of being in class. The games were fairly simple: Red Empire and Car Wars the Card Game. While they were somewhat portable, the boxes were ditched fairly quickly in favor of plastic bags, making them even more portable. As I got older and the games I played became more complex, I stopped carrying games in my bag unless I knew I was going to play something that day. A funny thing happened a few years back. Not only did I get back into gaming in a more serious way, but a bunch of small (micro) games started coming out, with of course Love Letter at the forefront. Not only were these games simple, but they were small enough that I could carry one or two in my bag at any time. Well, someone has gone and done it a step better: Chris Handy has come up with the Pack O Game, a series of games so small that you could carry all six of them in your bag without making the smallest bump. Small is good, but are the games any good? Let’s check it out! This entry was posted in Uncategorized and tagged GEM, Pack O Game, review, TKO on August 2, 2014 by TopDog. I’ve been playing around with video for a little bit now, trying different formats and things such as the Time Lapse Replay series and various attempts at reviews (haven’t posted any of them). One area that I wish there were more, shorter videos out there are video tutorials. Now, there are some very nice efforts, but I find most of them to be too long. So, here’s my attempt. What you have here is a tutorial (or “Sit Down and Let me Teach you How to Play”) of Thunder Alley (GMT Games) by Jeff and Carla Horger. I was very curious when I first read about this game since I am *not* a racing fan and was hoping that this would be more interesting. Well, after one game, I can tell there’s something really interesting here. The game is fairly simple, but there’s a lot of fun to be had. Expect a full review as soon as I can get 2-3 more games in, and believe me, with the kind of impression this game made on first play, it shouldn’t take too long! I realize that it is a little rough around the edges, but it’s a good first try. It came out a little longer than I wanted and I figure that with time, I’ll get better. I certainly hope that I’ll stop dropping my S’s! Only when you watch/listen to a recording of yourself to you see how many little mistakes you make! Let me know what you think and Happy Gaming! This entry was posted in General and tagged Thunder Alley, Tutorial on July 29, 2014 by TopDog. Another month, another purging of games that are just not getting enough love, or that I’m just not interested in any more. Yes, there’s one instalment of the Purge missing, but work has been kind of crazy lately and all the usual excuses. But you’re not here for that, you’re here to know how things stand and maybe score some good games for not much. So, let’s see how things went since last time, shall we? What? You don’t care about what games got traded/given/sold/exchanged? you just want the new stuff? Skip everything and get to the good stuff here! This entry was posted in General, Uncategorized and tagged The purge on July 18, 2014 by TopDog. To say that I love a good train game at this point would be kind of pointless. Between my dabbling with Ticket to Ride, my well-known love of 18XX and Age of Steam/Steam, my discovery of the great Paris Connection and countless other, I love a good train game. One thing I haven’t seen often is a good card-based train game (don’t get me started with a good dice-based train game). Sure Express was pretty good at the time and Yardmaster is an interesting meld of Uno and Ticket to Ride. Even 1830 Card Game is very good, even if the components are… rudimentary. But what do you do when you have 15 minutes to play a good train card game? Well, this is the question Yardmaster Express attempts to answer. A short, drafting game that plays 2 to 5 players and that takes about 10 minutes to play. What’s more, it’s very easy to explain and simple to understand. What do you mean, no one had asked that question? Well, so what. I love a good train game. 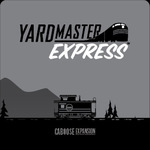 Does Yardmaster Express have what it takes to be one of the good ones? Let’s check it out. This entry was posted in Review and tagged review, Yardmaster Express on July 14, 2014 by TopDog. VivaJava: The Coffee Game: The Dice Game contest winner! What a week! To think that this contest came about from a shipping error. 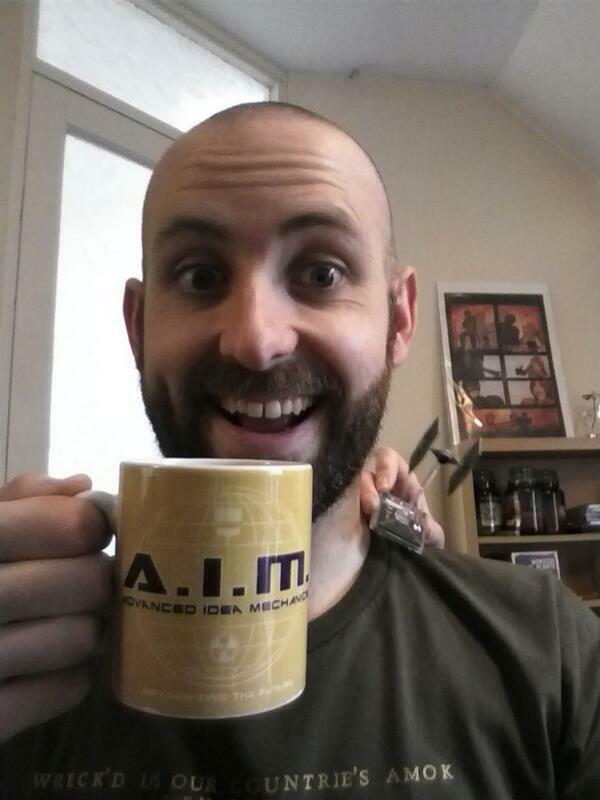 Well, over 400 of you checked out the contest page and 31 people participated, taking nice selfies of themselves along with a cup of coffee (check out the #dicelovecoffee tag over on Twitter) and I discovered that many of you love your coffee along with your games. Saw some great game collections along the way and struck a few conversations as well. Thanks again to Chris at Dice Hate Me Games for allowing me to run this contest. Much appreciated and I hope everyone who participated had fun. This entry was posted in General and tagged contest, vivajava: the coffee game: the dice game on July 7, 2014 by TopDog.